Just arrived from Otto and another corker. 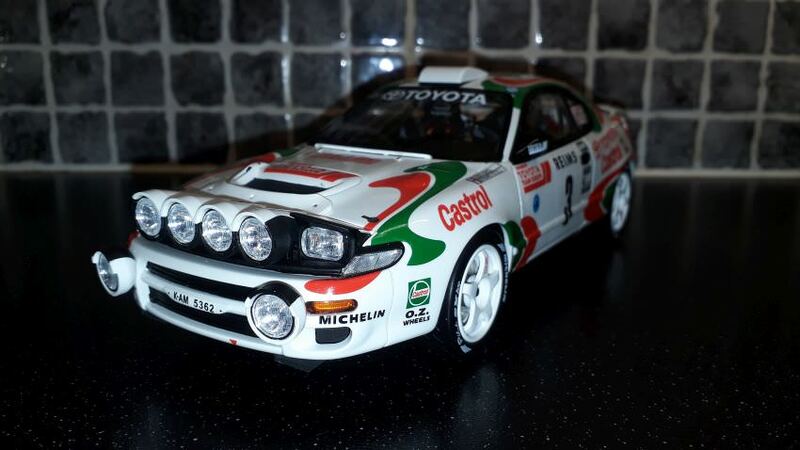 Didier Auriol's 93 Monte Carlo Rally winning Toyota Celica Turbo 4WD. Roof aerial to be applied but a fantastic thing to look at! What a stunner, Otto did it again! Great model of an awesome car. The Celica provided a great show for the fans with the engine loud banging during acceleration and braking. A true monster! Not normally a fan of part works however Ixo through the Eaglemoss/Altaya/Whatever part of their empire have a range of the bigger stuff on sale in France and Spain at the moment. 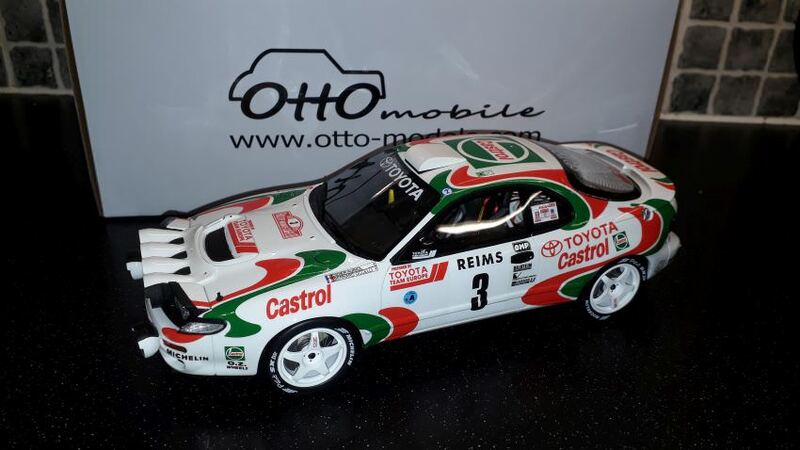 I know that Ixo and Triple9 are using these moulds to produce slightly more (not that much) detailed versions however knowing how crap they are at understanding what collectors actually want I could not resist buying this one as doubt they will release it in the full range. 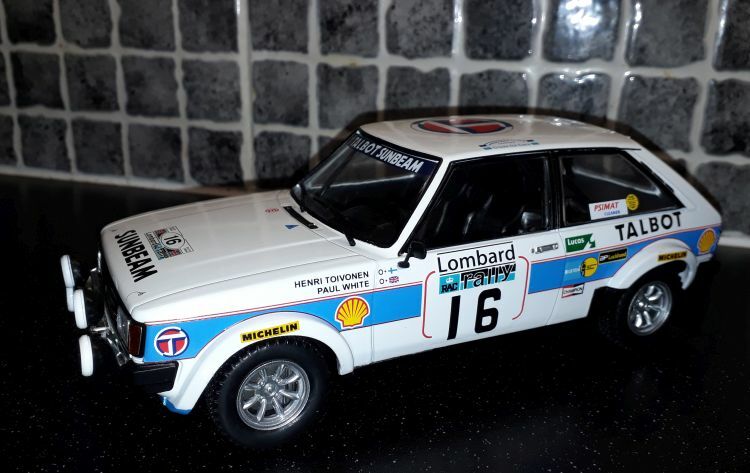 This is the Sunbeam Lotus that the late great Finn, Henri Toivonen drove to a famous victory in the 1980 RAC Rally, at the time he was the youngest driver to win World Championship rally. Have to say other than not having a roof aerial and one mis-placed decal which is on the roof at the back rather than the rear hatch glass I think it's very presentable. 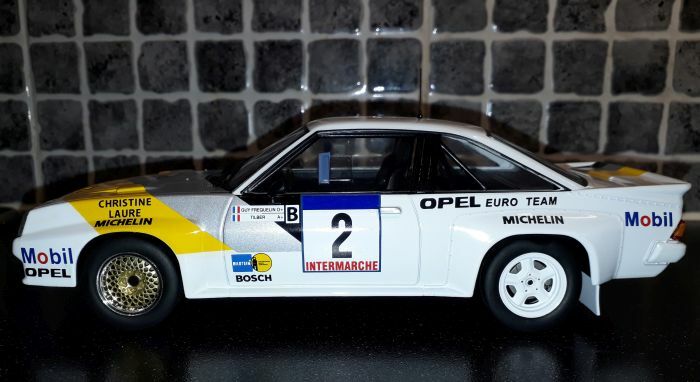 Another from the Altaya/Ixo series is this Manta 400 of Guy Frequelin from the 1985 Criterium du Touraine rally a round of the French rally championship which he won outright. 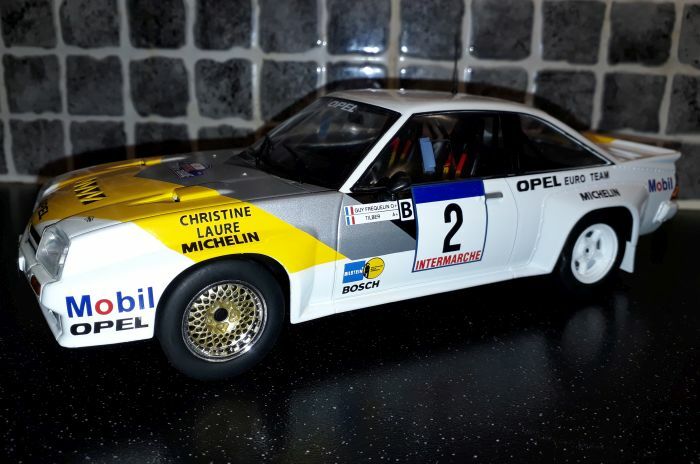 Another nice moulding and pretty ok finish only missing the Rothmans decals from the rally plates.